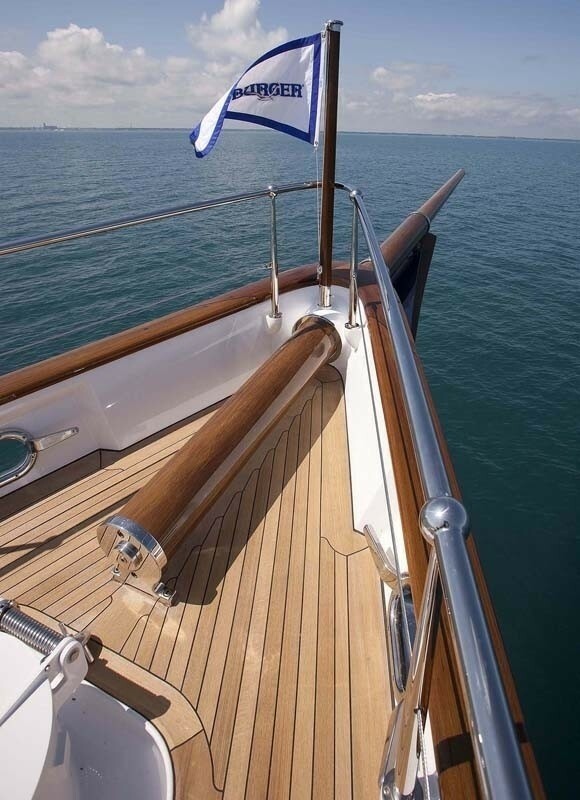 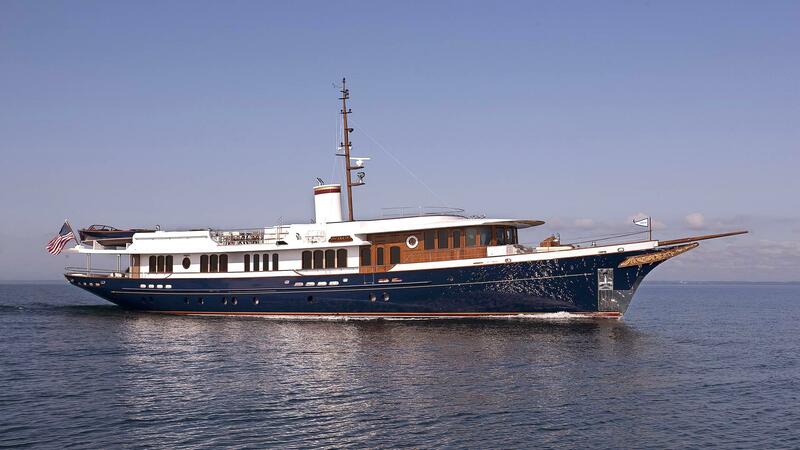 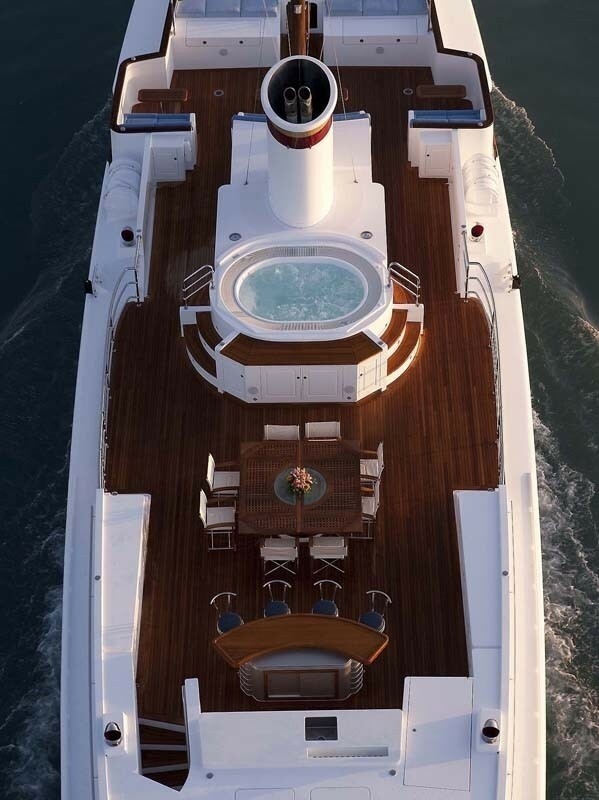 Yacht SYCARA IV is a 46 metre (151') 2009 aluminium Burger built modern classic style motor yacht. 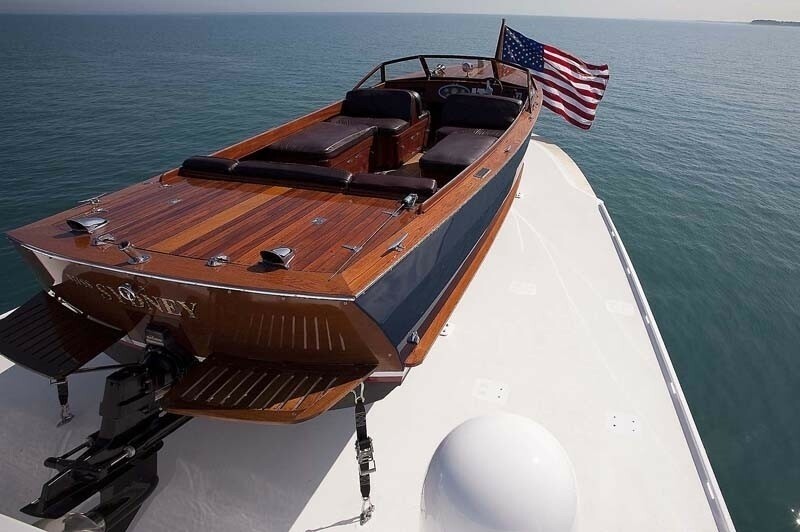 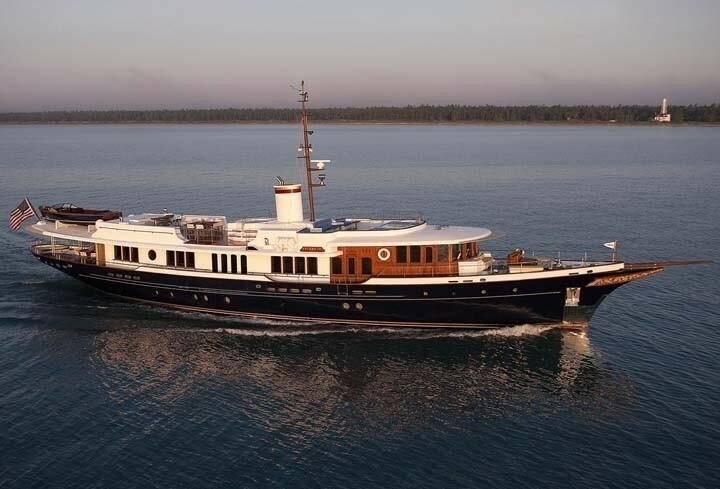 She was launched by Burger Boats of America, with naval architecture by Bruce King Yacht Design and an interior by Ken Freivokh design. 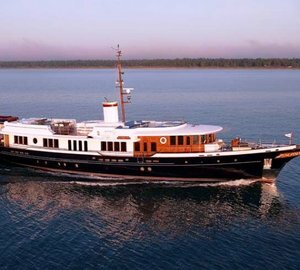 Motor yacht SYCARA cruises in the Bahamas and Caribbean with 8 guests sleeping overnight and up to 12 guests for day sailing. 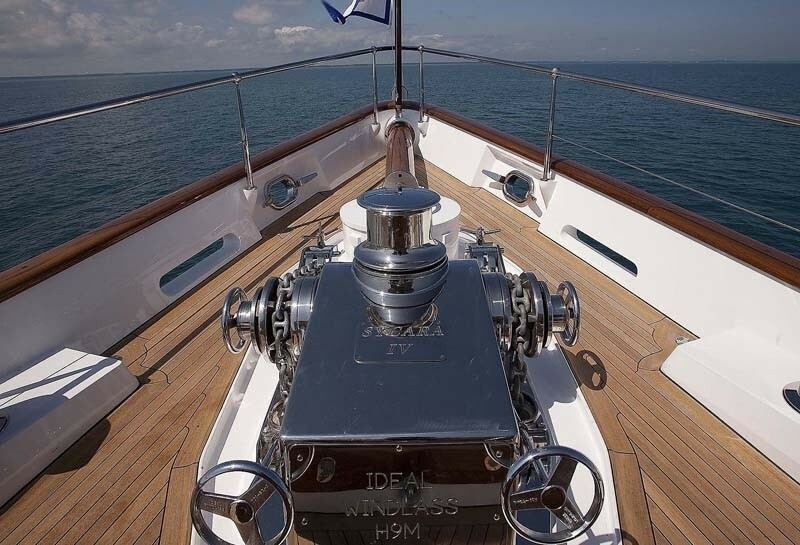 With all the ambience, form and beauty of yesteryear - as blended with modern technology, design and function. 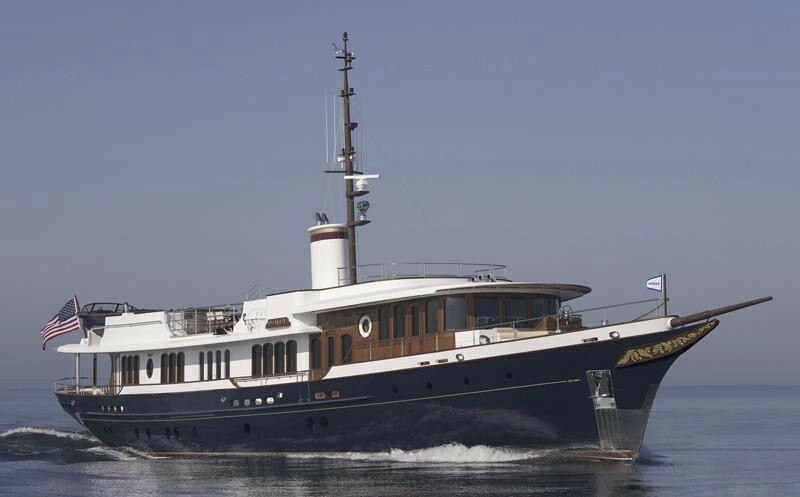 Superyacht SYCARA IV is designed with the private classic motor yachts of the 1920’s very much in mind. 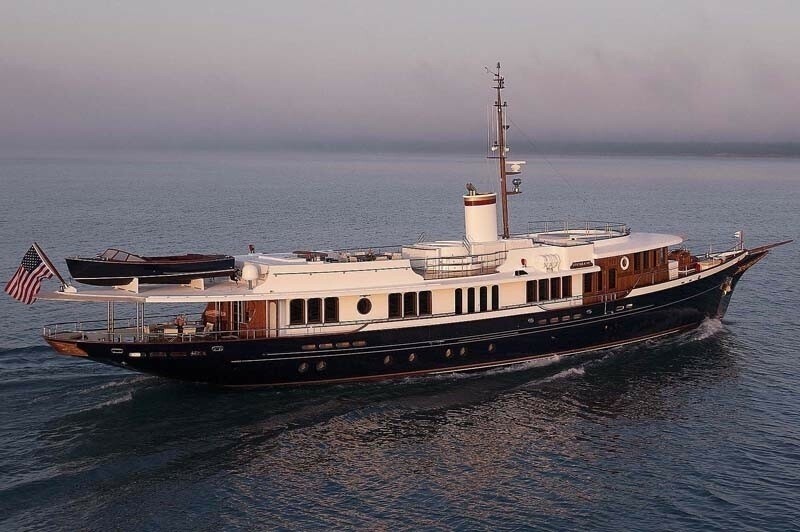 The creation of M/Y SYCARA IV brought together an esteemed collaboration of leading experienced and high profile yachting experts. 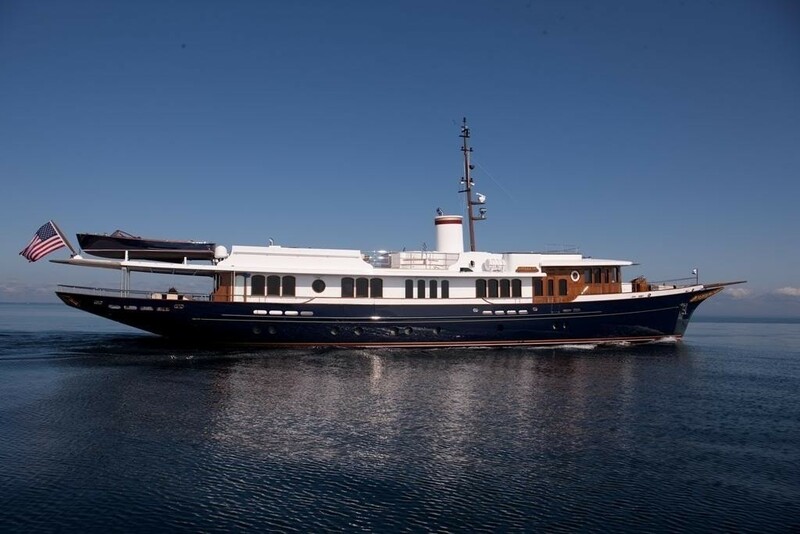 The yacht's owners employed their extensive yachting experience and yacht building knowledge into the project and design as did Mr Steven Narkawicz who is the owners' talented project manager. 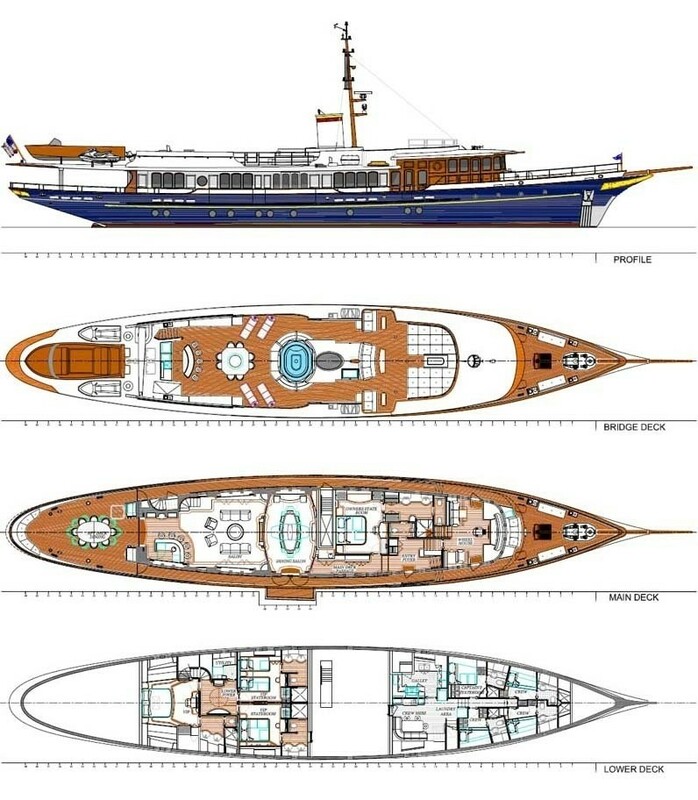 In addition Mr Ken Freivokh, who is a world renown and talented designer, produced a wonderful modern classic interior design and exterior detailing. 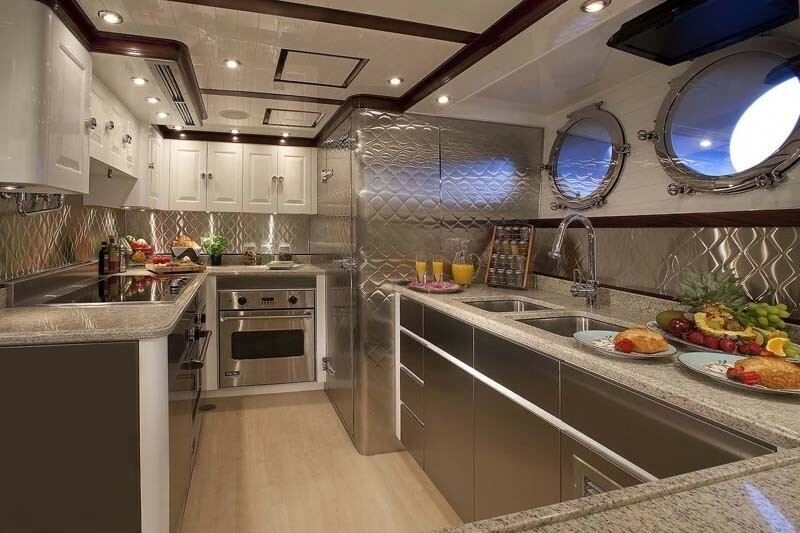 Burger’s own team of experienced designers, engineers and craftspeople also brought their skills to the yacht. 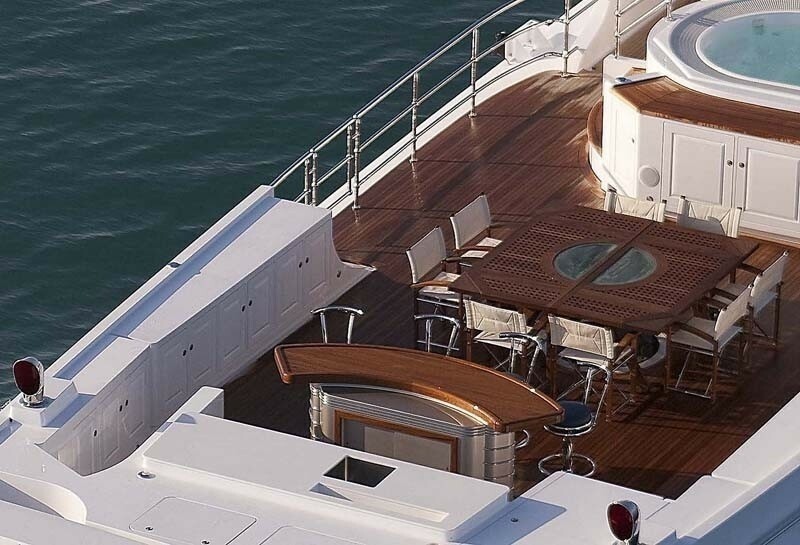 The yacht's top deck area has a sunpad area to forward, an alfresco dining area and bar, and a raised outdoor Spa Pool pool. 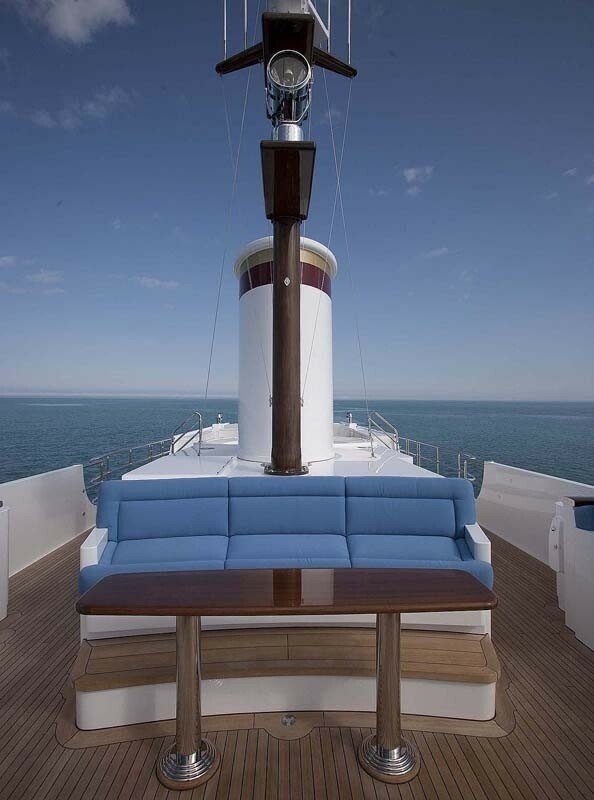 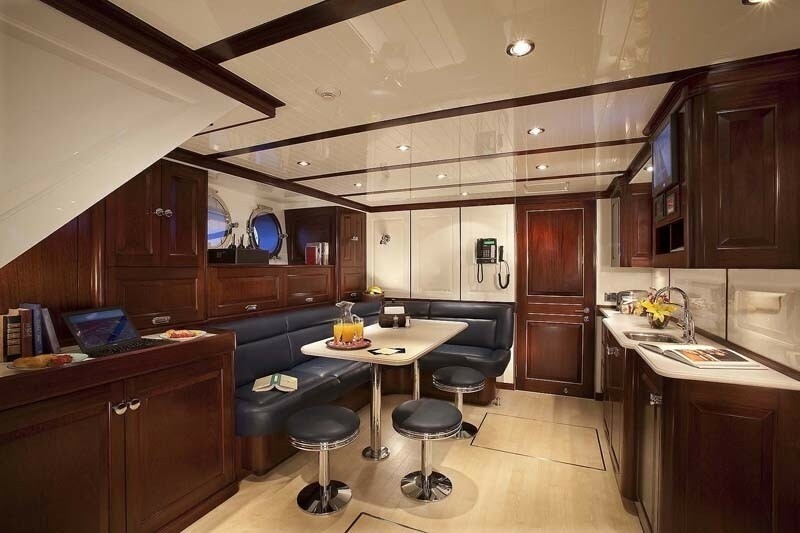 She has a splendid aft seating area on her fantail with boarding via a side platform, rather than aft deck. 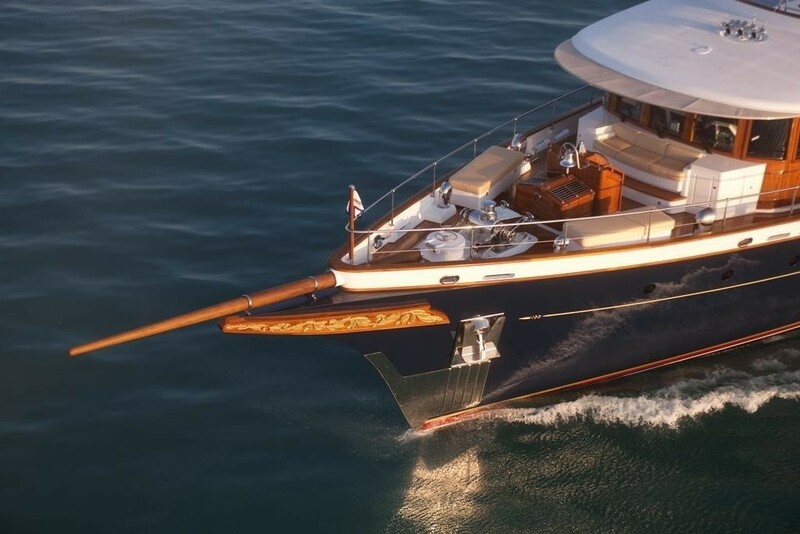 Winner of the 2009 World Yachts Trophies with Best Design for Custom Yachts under 50 m.
Winner of the 2010 World Superyacht Award for Judges' Special Award for Best Displacement Motor Yacht under 500 gross tons. 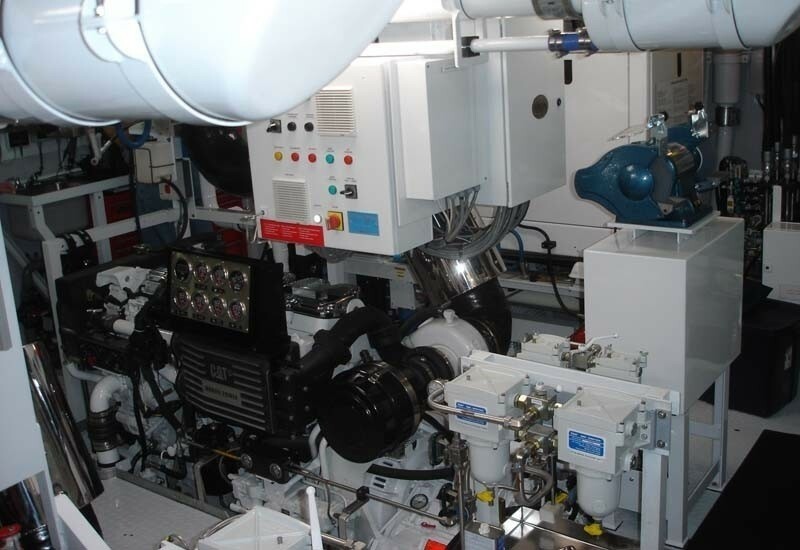 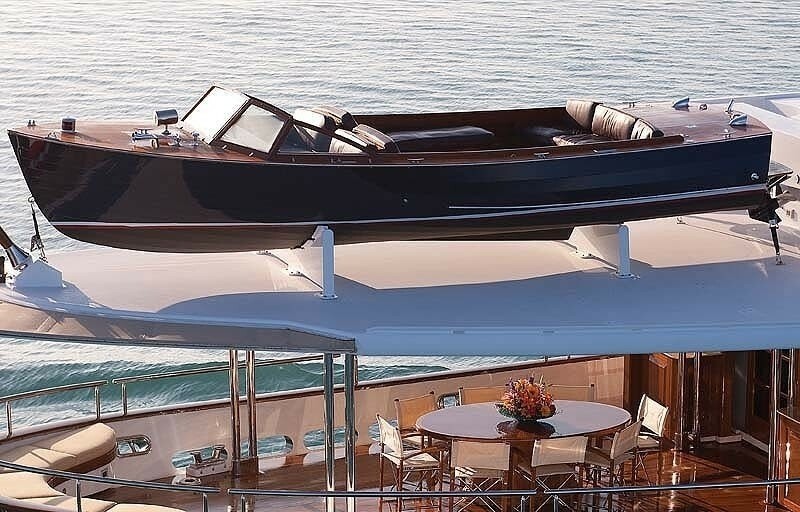 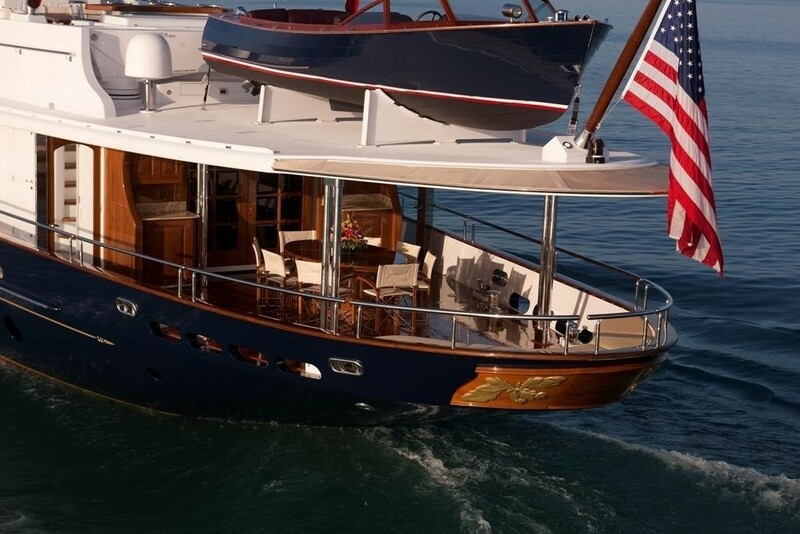 Winner of the 2010 ShowBoats Design Awards for Naval Architecture for Motor Yachts. 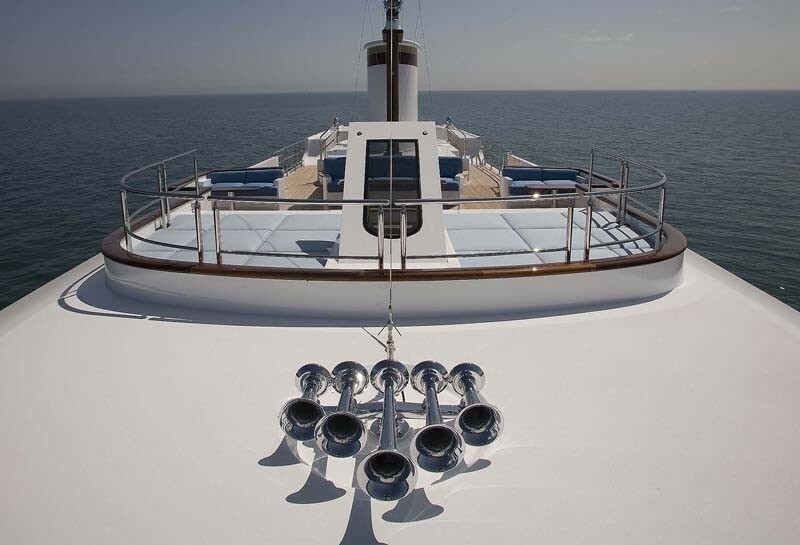 Finalist of the 2010 International Superyacht Society Design Awards for Power Yachts 40-65m in size. 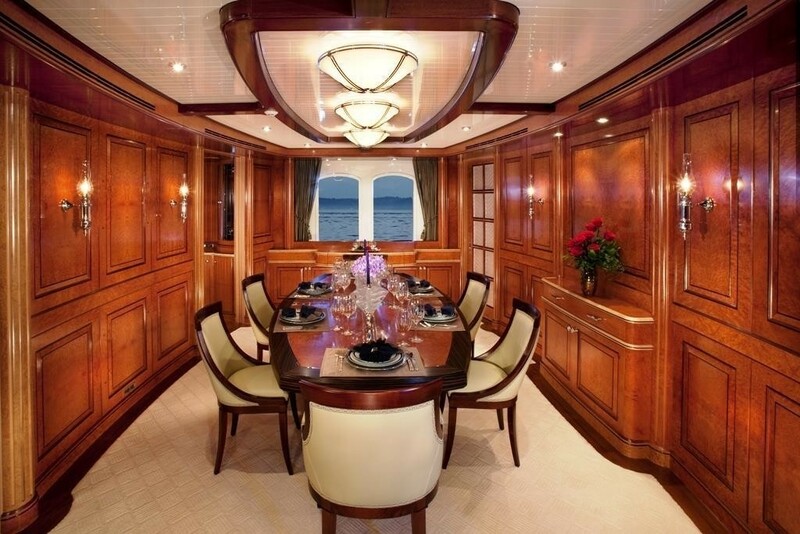 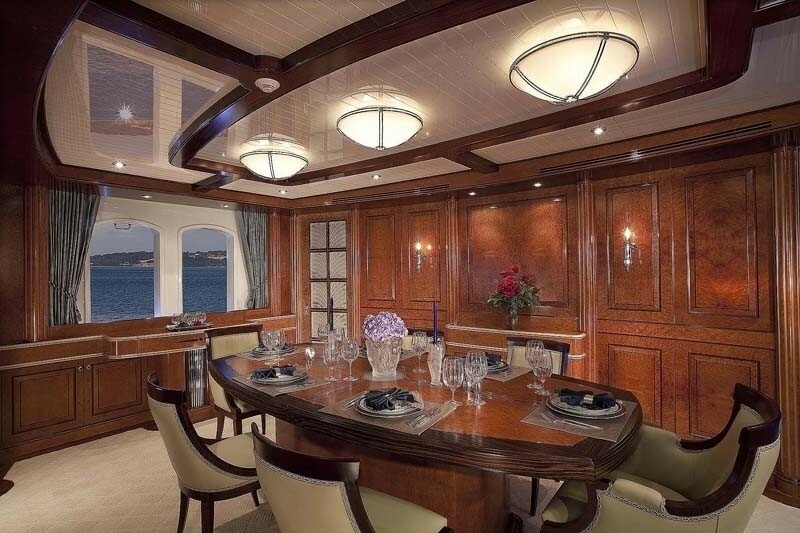 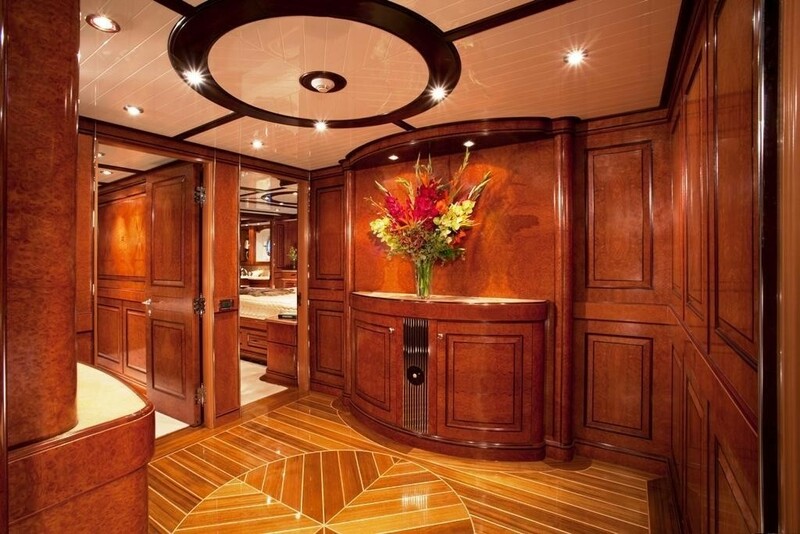 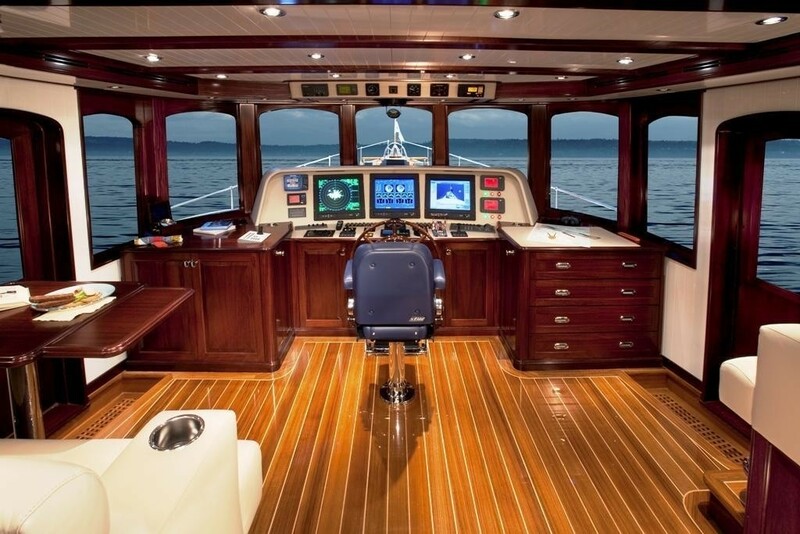 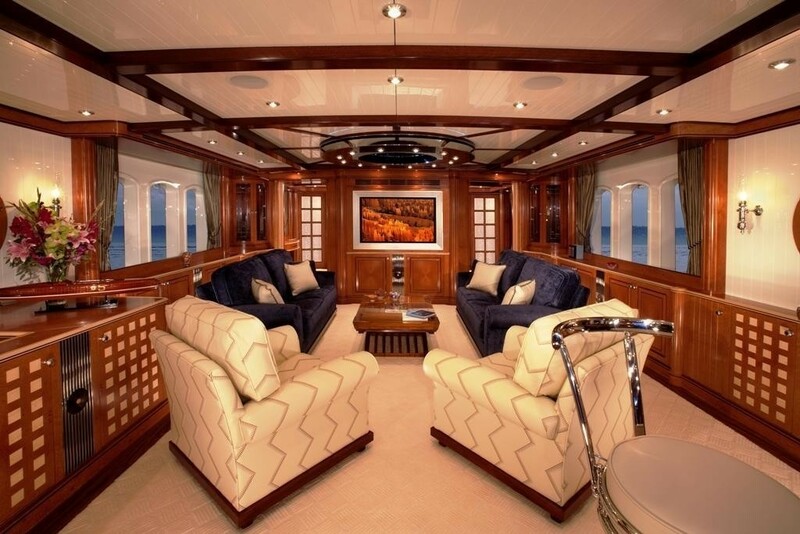 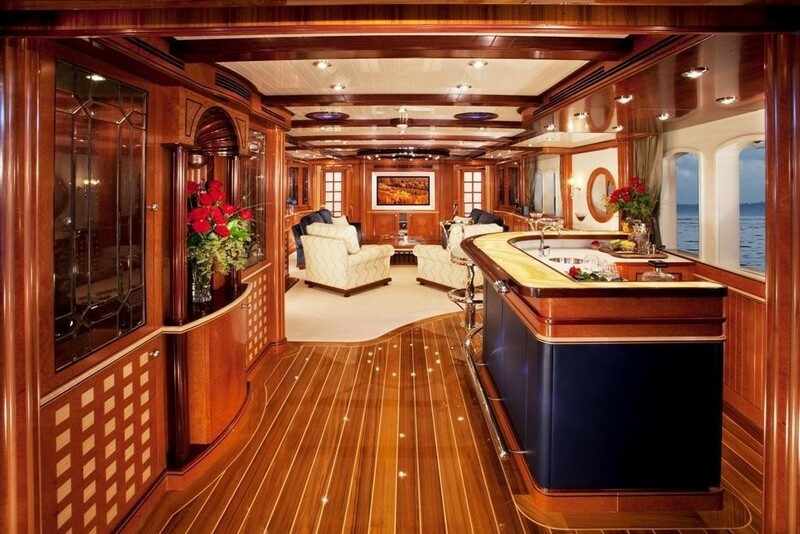 Finalist of the 2010 ShowBoats Design Awards for Interior Design for Displacement Motor Yachts. 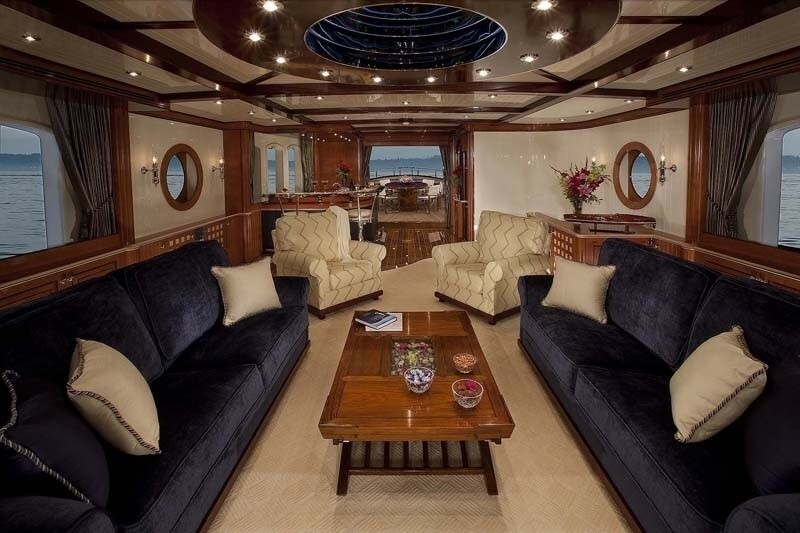 Finalist of the 2010 ShowBoats Design Awards for Motor Yacht Exterior Design & Styling. 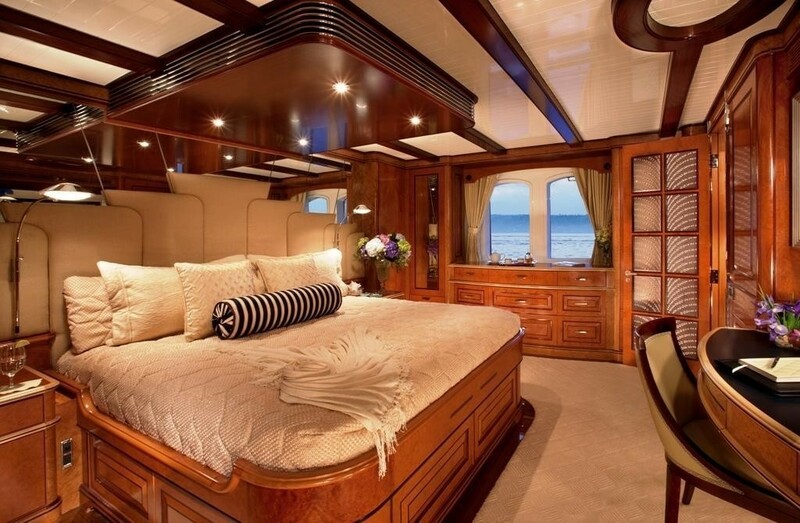 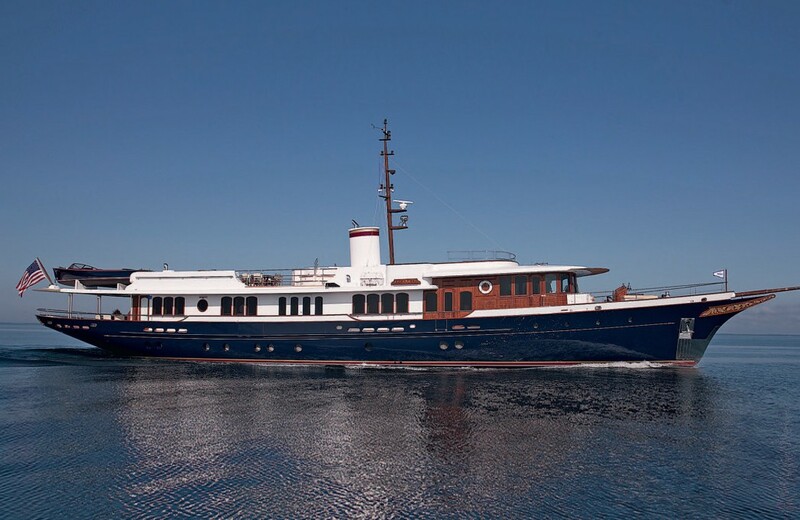 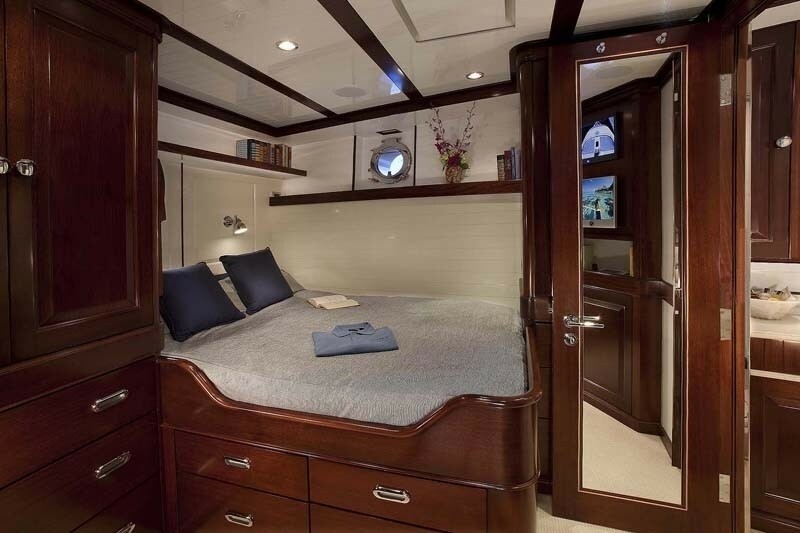 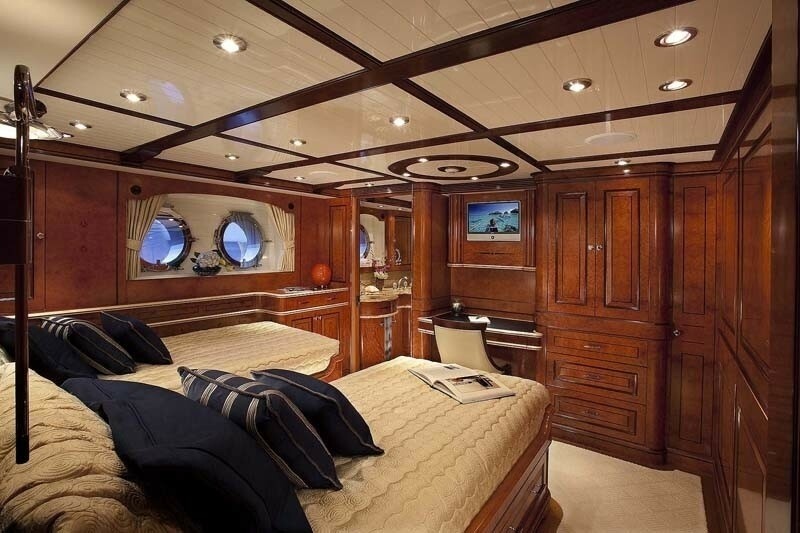 Yacht SYCARA IV accommodates 8 guests overnight in a 3 double and 1 Twin cabin format. 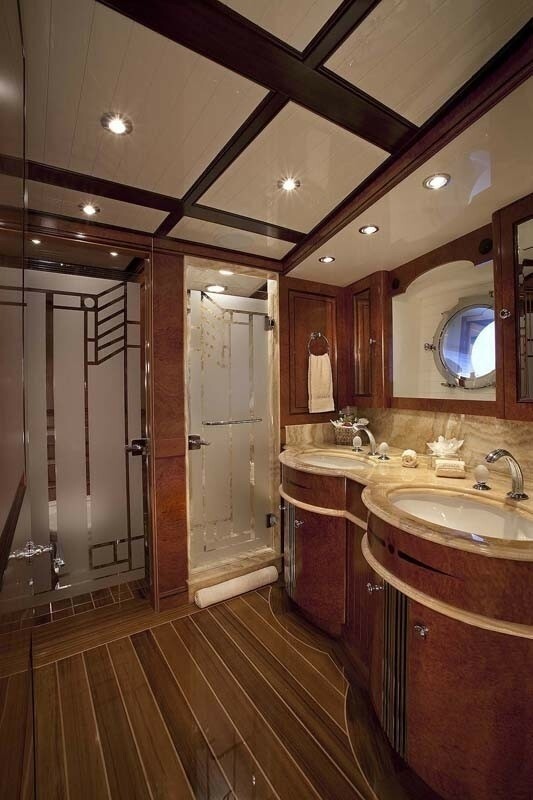 Each stateroom is equiped with a private en suite bathroom. 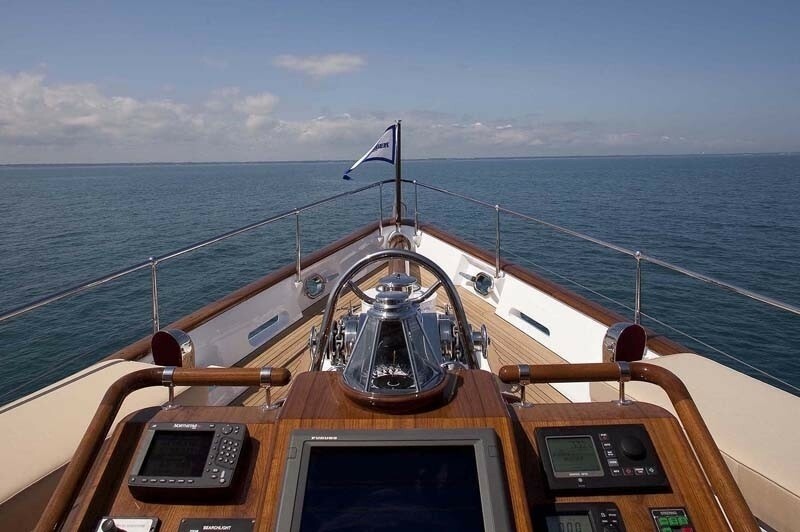 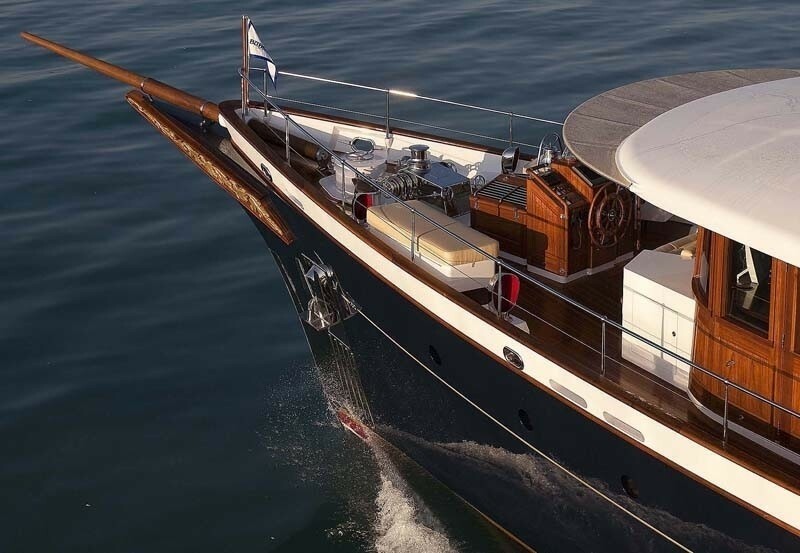 Motor yacht SYCARA IV's Tenders & Toys: - She has a custom traditional woodern tender - water toys TBC - please contact CharterWorld for further details.